A lot of great things have happened since I started this blog. I get to share my recipes with all of you, get to have a creative outlet, something that is ‘just for me’ which is so important being a stay at home mom, I also get to help support my family a little with the extra income it provides. The best thing though? The friends I have made with so many of my readers and fellow bloggers from around the world. Michaela, who blogs over at An Affair From The Heart, would be who I consider my bloggy BFF. I am so thankful for her friendship! We have bonded over our little successes, major failures, favorite tv shows, a shared sense of humor and even a hotdog costume….don’t ask 😉 This salad has been on my list of recipes of hers to try for a while now, and I am SO glad I did! 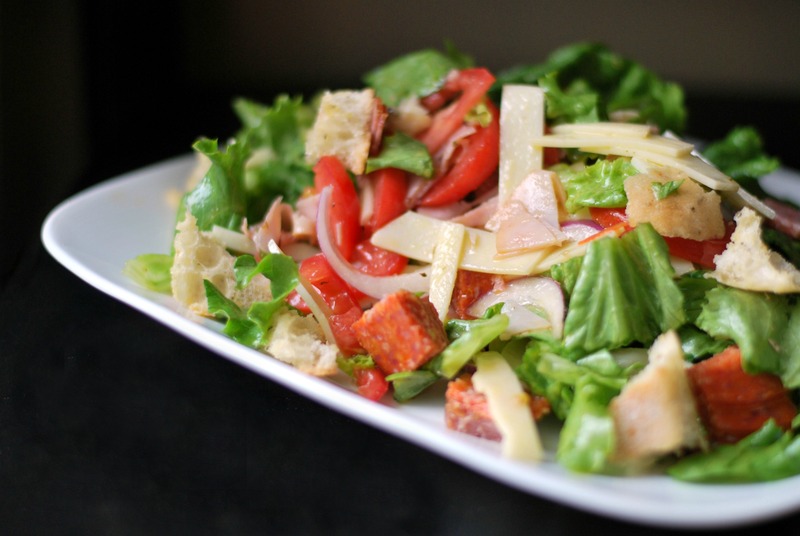 It is like an Italian Sub in salad form. If you are doing the low carb thing, just leave the chunks of bread out entirely and you won’t miss it! Who would? 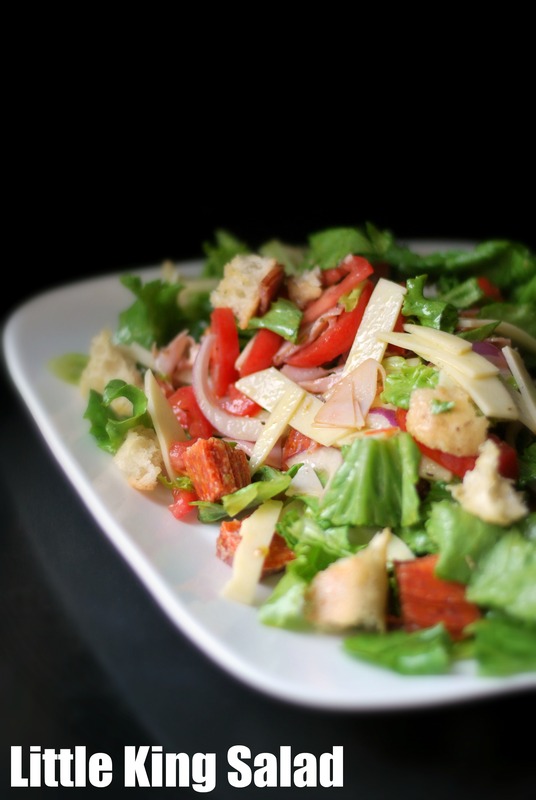 With all that delicious Italian meat, cheese and veggies and a homemade dressing, you will find yourself craving this salad in the middle of the night. Like I just did. I had my 2nd helping of it at 11pm! Next on my list of recipes to try from An Affair From The Heart are her Unstuffed Cabbage Roll Skillet and Philly Cheese Steak Stuffed Peppers! Yummy! Mix up dressing, pour over salad ingredients, toss well. Before you serve throw in torn up pieces of Italian hard rolls. WOW!! This turned out so good!! Your photography is stellar, you know that? Thank you for the sweet words! I am thankful every day that our online friendship turned into a real life one!